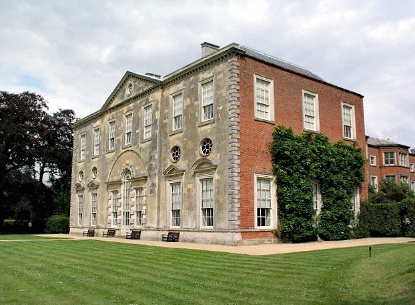 Claydon House is an unpretentious 18th-century castle built in the simple, rectangular classical-style. In fact the exterior alone is not so exceptional. What really sets Claydon apart from other castles and stately homes is its decorative rococo interior, deemed as one of the most (some say the most) spectacular 18th century interior in England. The estate has belonged to the Verney family for some 380 years. In the 19th century, pioneer nurse Florence Nightingale (1820-1910) came to live in Claydon for several years, as sister-in-law of Baronet Verney. Her bedroom and personal effects (some related to her Crimean stay) remain and can be visited. Claydon House is open from April to October, from Saturday to Wednesday between 1pm and 5pm. Admission is £4.40. Waddesdon Manor is 21km north-west of Aylesbury, Buckinghamshire's county town. Aylesbury is just one hour by train from London's Marylebone station (£10.30). From there, take bus No 17 to Middle Claydon, which is the nearest you'll get (3km) from Claydon House by public transports.